When Lucy and Ethel return from a shopping spree after spending one hundred forty dollars (plus tax), the husbands decide to take them on their next fishing trip to keep them out of the Eden Roc Hotel boutiques. It will be men versus women as to who will catch the bigger fish; the wager: one hundred fifty dollars. To nail down their victory, Lucy and Ethel buy a one-hundred-pound tuna at a local fish market and plan to hide it in the Ricardos' (Room 919) bathtub. Unbeknown to the scheming females, Ricky and Fred also have purchased a tuna of equal size to assure their conquest. At the end of a madcap routine, which finds each team trying to hide its "catch," the nefarious doings are exposed. With the bet still in force, the Ricardos (including Little Ricky) and Mertzes embark on a day of deep-sea fishing in the Atlantic. After a long, exhausting afternoon, the only one who's caught anything is Little Ricky. Suddenly, Lucy gets a nibble, followed closely by a bite on Ricky's hook. Ricky's pole goes overboard and he dives in after it, only to be reeled in by his wife. 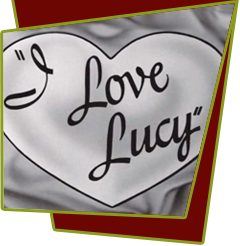 When the five fishermen discover that there is a fish lodged in Ricky's jacket, Lucy claims she won the wager because she "caught" Ricky and, hence, the fish. Special Notes: The 2 giant tunas are real. They were purchased at Fisherman's Wharf in San Francisco, packed in ice, placed in 2 children's sized coffins, and flown to Los Angeles for the filming. One problem no one counted on was that the fish would be oozing blood. To remedy the situation, each fish was stuffed with maxi pads. Bloopers: During the fishing scene at the end of the episode, Little Ricky can be seen in the back corner of the boat, but when Ricky is pulled back in the boat after jumping in, Little Ricky is no where in sight.